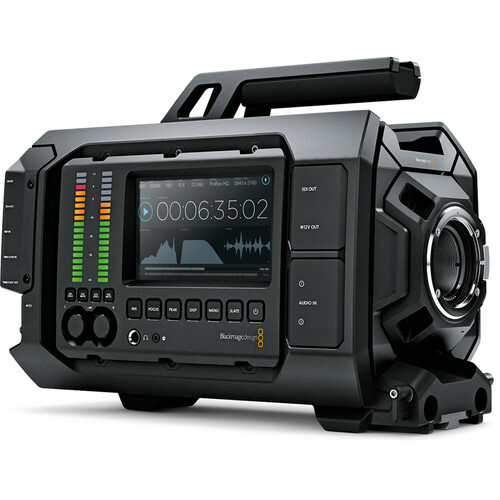 Blackmagic Design today announced a new high performance 4.6K sensor for its URSA high end digital film cameras. The new Super 35 image sensor features high resolution of 4608 x 2592 at 120 frames per second and an extremely wide 15 stops of dynamic range for images that rival those shot on traditional 35mm film. The new 4.6K image sensor captures 4608 x 2592 pixels and has an incredibly wide 15 stops of dynamic range to deliver images with higher resolution and more latitude than many traditional motion picture film stocks. The dynamic range sometimes even goes beyond what the human eye can see. That means customers can now use URSA to get the most epic cinematic shots with more detail in the shadows and highlights than ever before. Files are recorded as 12-bit lossless Cinema DNG RAW to preserve the maximum amount of image data and quality for color correction and creative grading in applications like DaVinci Resolve. Broadcast quality files can also be saved in Apple ProRes for easy post production workflows with minimum storage requirements. The camera will be available in limited supply by June, and full supply ramping up in the months after.